Roll up! Roll up! 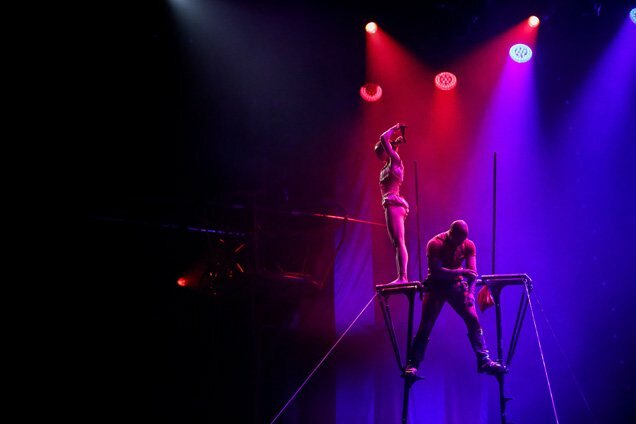 Circus 1903 is bringing the Greatest Showman style circus to the South Bank. Tell us about Circus 1903. What should an audience expect to see? Expect the unexpected! In a way, what we have done is recreated a traditional circus that you would have seen in the year 1903. But, not just the circus, what you will see is men hammering stakes into the ground before the circus begins and you will see the unloading of the wagon and the very circus performers and workers doing their laundry and choreography happens during practice sessions, for example during the teeterboard act and the juggler. So you will see what happens in the train yard before the circus happens. What happened in the circus in 1903 factories would close, schools would close – it was the biggest day of the year! It was like the Olympics, a rock concert and the largest celebration of the year all rolled into one. The whole town would show up at the train yard to watch the spectacle unfold, the tent go up, and the elephants marching down the mains street. We have tried to recreate that celebration of entertainment and community to get you to feel what circus was all about back then. In the second half we put on a circus, an amazing circus with top circus stars from all over the world. The search for these circus acts was a yearlong process and they selected people who are at the top of their game. So what you are going to see is a much higher level of circus performance, artistically and physically, that you might have seen before. This is heighted by the period costumes, the cinematic music who is scored by Evan Jolly and played by the Prague symphony orchestra, the incredible lighting done by award winning lighting designer Paul Smith – Everything has been pulled out to bring you the best circus possible from the best era of circus. You’ve toured the show around the world including Las Vegas and Singapore. What is the key to a show that tours globally? How did the differing audiences react? It is a pretty universal. People love to be thrilled, every child is drop jaw when they see people flying through the air, and everyone bites their nails no matter what country you are from when they see someone walking along a thin wire 20 feet above the ground. It doesn’t matter which language they speak, people have the same reaction to the circus and that’s why it’s universal. Tell us about the inspirations for the show and your ringmaster character. The inspiration for the show came from our producer Simon Painter. He told me several years ago when I was I was touring in his show The Illusionist performing magic, which is my background – I’m a magician, that he wanted to put together a circus. Simon wanted to flip the script and make a retro circus to put the spotlight back on the artists because he believed that if you take away all the razzle dazzle fundamentally the post important thing of any circus is the talent. So that why he created Circus 1903. Then he picked me to be the ringmaster because I’m tall, I fitted the costume, I look good in a top hat, I talk loud and I can do magic tricks between the acts so I’m absolutely thrilled to be the ringmaster of the circus. What advice would you give to someone who wants to work on a big show like Circus 1903? Well, I never had the goal of working in a big show like Circus 1903, I just loved performing and I loved my craft of doing magic. 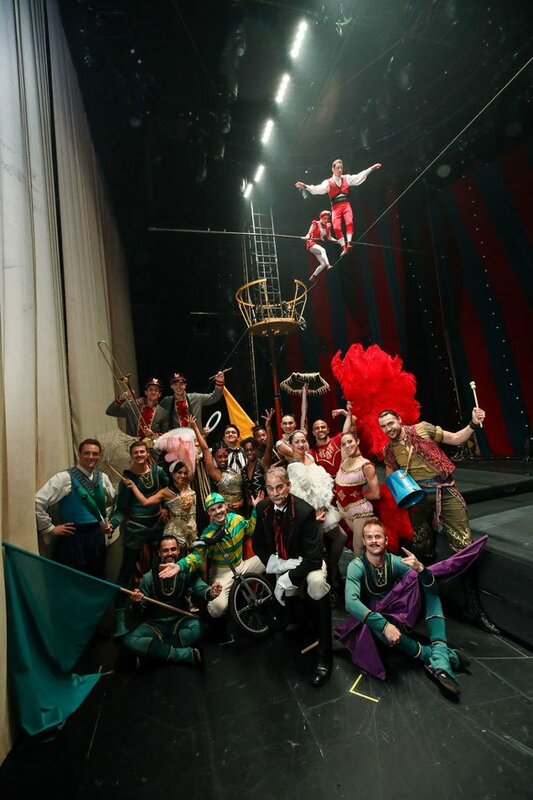 The circus performers, all who I have got to know very well, are from fourth or six generations of circus families. They take their art form very seriously, they take hours and weeks and years perfecting this craft that has been passed down through generations – it’s an art form they revere. It wasn’t with a dream of being in a big touring show, it was because it was their culture, their lifestyle, their love for performing and the skills that they gained. So, my advice is do what you love, follow your passion -whether it’s a touring show or anything else. If you chase after the fame and fortune, it will avoid you, so just chase after being the best that you can be at what you love. Have you visited London before? What excites you about the city? Do you have any favourite haunts? Everything about this city excites me! I have been coming here for 30 years I was on a couple of television programmes here doing magic, I have mates at the Magic Circle. I especially love coming around Christmas time, the atmosphere is always jubilant. My favourite thing to do in London is randomly jump on buses and randomly get off because I always discover new exciting parts of town that I never knew existed. Yesterday, I went searching for a new top hat and I found myself in a beautiful little alley way with a lot of lovely little shops. I had never been there before, I nice cup of tea and some lunch and met a lot of nice, lovely people and managed to buy a silk top hat. You can’t do that in America!